We love throw pillows...they're kindof a guilty pleasure for us. There are always so many cool options available that we just want to find a way to use them all! Some people get it and some people don't. Men, for example, seem to think throw pillows are a hassle. Ha! They just don't appreciate the beauty of a well-styled sofa. Others get it (usually women :) ). Throw pillows are a way to add color and pattern to a room and often are the textile that brings everything together in a space. Layering them with different patterns, colors, and textures just seems to be that perfect finishing touch! So today we're talking about the best way to select and style combinations of pillows. It's meant to look effortless, but it really isn't (and you know this if you've ever tried to create your own mix), so hopefully these tips will be helpful as you freshen up your home for the new year! The about throw pillows is that you don't want them to be matchy-matchy. Mixing colors and patterns is the best way to make a piece of furniture come to life. There should be some color overlap but not complete matching. A little bit of matching color will help tie the pillows together even if they have slightly different styles. Major mistake number one: matching your pillows to your sofa. Gone are the days of pillows matching sofas. 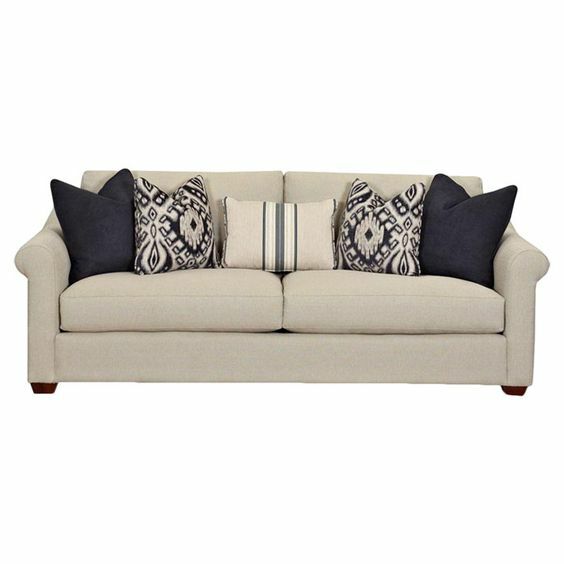 Now the key to good design is making different styles and patterns work together which is key when it comes to sofa styling. Mix large patterns with small patterns to help the eye move over the furniture easily. A bunch of pillows with just one pattern will look like a heavy, blocked piece of furniture. If there is a variety of pattern sizes the eye can move swiftly over the entire piece of furniture appreciating the difference and how it all works together. 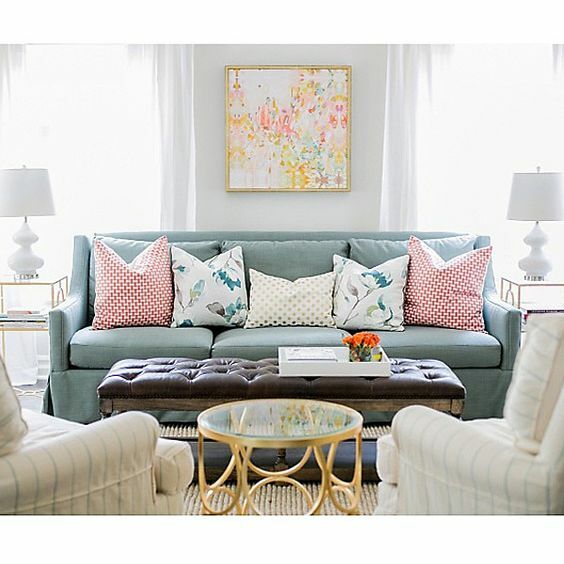 A lot of small patterned pillows can look busy and too many large patterned pillows can be overwhelming. A little of each is the perfect blend. Mix in textures and solids. It's ok to have some solid colors in your pillow mix. Every combination needs something solid to ground it, so don't feel like you've failed if you're putting solid colored pillows on your sofa. The best way to make solid colored pillows more interesting is by mixing in pillows with different textures so that the different weaves create some depth without pattern. Don't buy tiny pillows. Usually anything from an 18"x18" pillow to a 22"x22" pillow is the best bet for layering. Don't use poly-filled pillows unless it's for a eurosham. All sofa pillows should really be down filled or a poly-down blend. Do use odd numbered pillows to layer. Do have fun with your pillow styling!